Members of the Love Israel Family performed at the 1976 Folklife Festival, while the Mad Robins took the stairs in 2018. 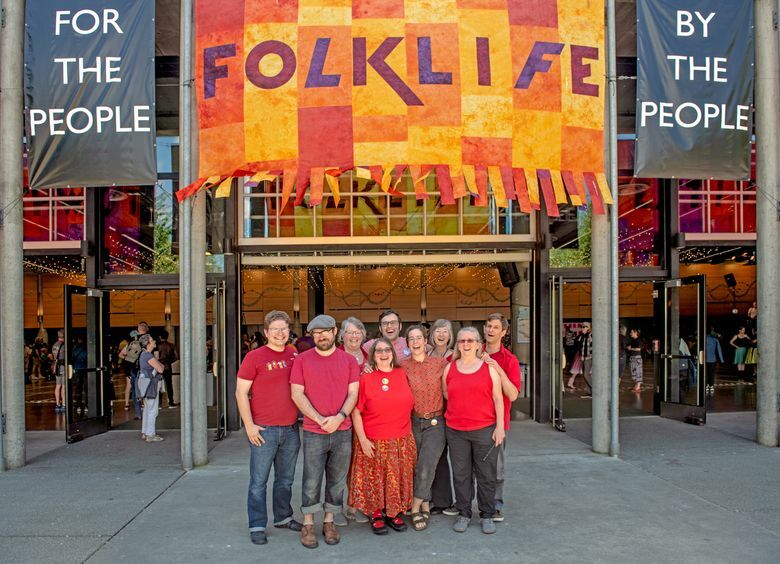 Both groups performed at Seattle’s now-venerable Northwest Folklife Festival. The earlier pleased performers were all members of the Love Israel religious community, then living near each other in several homes on Queen Anne Hill. 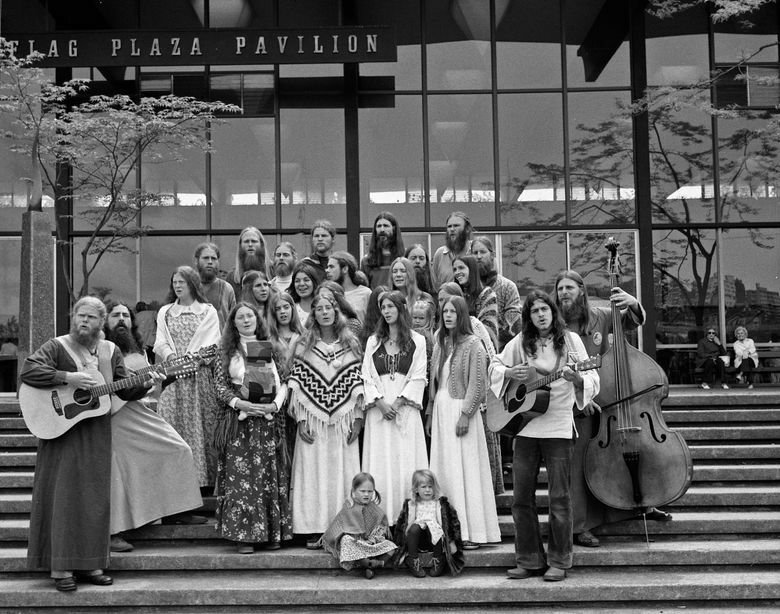 They performed on the Seattle Center stairway, between the Flag Plaza Pavilion built for Century 21 (our World’s Fair of 1962) and the Folklife visitors seated on the plaza behind photographer Frank Shaw. Shaw was a skilled amateur who filled several binders with the 2×2 negatives and transparencies recorded on his camera, a Hasselblad I envied then and still do. Thanks to Mad Robin Melissa Coffey for help with the Mad Robins, and to Rachel Israel and Charles LeWarne for their help with Love Israel history. Historian LeWarne’s book, published in 2009 by the University of Washington Press and sensibly named “The Love Israel Family,” is in print.